Ready, Set, Borrow: It’s a fact that for most people the decision to buy or sell a house is less influenced by the financial markets, but more by what’s happening in their personal lives – for example: marriage, divorce, a new job or the departure of children (empty nest). 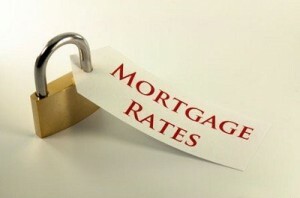 According to analysts, even if mortgage rates rise, they are likely to remain affordable, by historic standards. So what can you as a borrower do to get the best deal? Do Your Homework: The first step is to check your credit report with the three credit reporting agencies. Avoid borrowing to buy a car or other big ticket items in the months before you apply for a mortgage and even up to the date you finally close on the house. Anyone with a credit score below 620 will find it very hard to qualify for a mortgage; borrowers with scores over 740 qualify for the best rates. Be ready to offer up a load of paperwork to document your income, debts and assets. Since the housing boom free for all regulators have cracked down on mortgage lenders. Now borrowers need to show one month’s worth of pay stubs, two months of bank statements and two years of tax returns, according to David Stein, chief operating officer of Residential Home Funding in Parsippany, NJ. Then, shop around among several lenders for the best rate. Get Preapproved: Before you even begin to start looking for a house, you should get preapproved for a mortgage. Doing so with make you a stronger buyer – it also helps you to set boundaries as to what you can afford. Choose between Rates: The standard loan offers a fixed interest rate for 30 years. Adjustable rate mortgages (ARMs) offer a fixed rate, typically for the first 5 to 7 years, and after that rates can rise every year. ARMs make sense only for people who know for sure that they are going to be in the house for a limited time and have the financial stability to absorb a higher monthly payment. Decide on the Length of the Loan: 15-year loans are more popular with refinancing homeowners than they are with first-time buyers because many of them can’t afford the high monthly payments. The reward over time for higher monthly payments is that you’ll pay much less in interest by shortening the life of the loan. Lock in Your Rate: Once you find a good rate, consider locking it in, which you can usually do for no cost or for a fee that is refunded at closing. It’s not worth betting that rates will fall before you close on the property.